Four new commissioners have been appointed to the government’s Building Better, Building Beautiful Commission, it has been confirmed today (13 February 2019). Established at the start of this year, the Commission will advise the government by developing practical measures to ensure new housing developments meet the needs and expectations of communities, making them more likely to be welcomed rather than resisted. An additional 9 specialist advisors will also assist during the work. This Commission will play a crucial role in ensuring the homes communities need are built, accepted and loved by those who live in and near them. I’m delighted Sir Roger is being joined by such a talented team of highly-respected professionals, along with a list of distinguished advisors who will bring a wealth of expertise and a range of viewpoints. Meeting once a month, the Commission will report back in due course once it has taken evidence and formulated its recommendations on how the government can improve the quality of new homes. 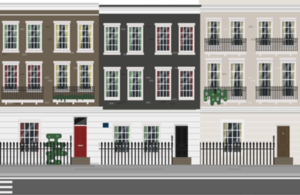 Sir Roger Scruton and Commissioners will be attending and contributing to the government’s ‘Better Design for Better Places’ Conference, which is focused on promoting the building of better and more beautiful places for people to live. This conference, the second of its kind since the first was held last year, will take place this Thursday 14 February in Birmingham. Find more information on the programme for the conference.